You can actually become one of them. For starters, spend one minute replying to each email – max -- and don’t feel compelled to respond to everything. Also, take a play from Steve Jobs, Hillary Clinton, President Obama and Mark Zuckerberg and wear the same thing every day. 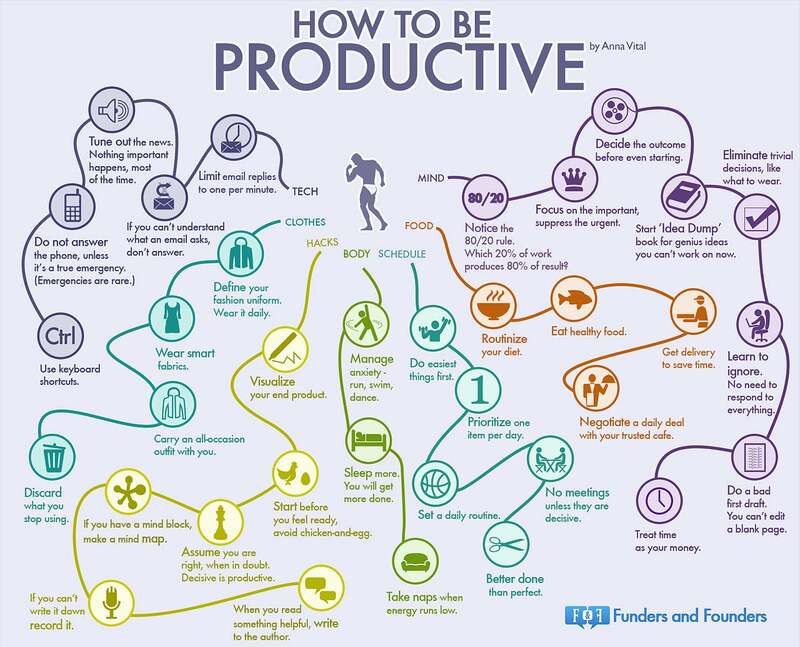 It saves time that you spend trying on different outfits every day, says Anna Vital, the co-founder of the San Francisco-based startup organization Funders and Founders who compiled the tips and made the infographic below.